Texas Democrat Julian Castro, a former San Antonio mayor who went on to be the top U.S. housing official, formally announced his White House bid on Saturday. He thus became the first Hispanic in what looks to be a crowded field of candidates vying to challenge President Donald Trump in the November 2020 election. 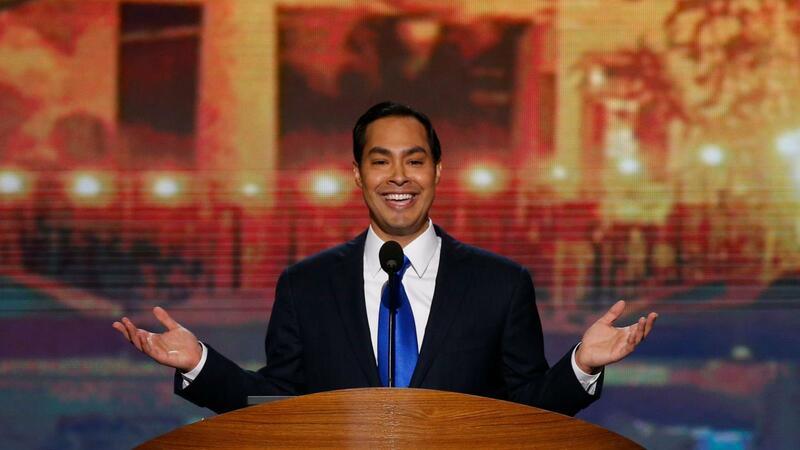 Castro, 44, the grandson of a Mexican immigrant who would be the first Hispanic elected president, served as secretary of Housing and Urban Development under former President Barack Obama and has long been viewed as a rising star in the party. He will seek to position himself as a political outsider with liberal credentials. “When my grandmother got here almost a hundred years ago, I’m sure she never could have imagined that just two generations later, one of her grandsons would be serving as a member of the U.S. Congress and the other would be standing with you here today to say these words: I am a candidate for President of the United States of America,” Castro said in a statement announcing his campaign. He made his announcement at Plaza Guadalupe, a landmark in San Antonio’s sprawling west side Mexican American barrio, a neighborhood of neat, brightly painted wood framed homes, many on tiny lots and festooned with white plaster Catholic statues. Since announcing formation of an exploratory committee in December, Castro has begun to stake out positions on policy debates that will dominate the nominating contests that kick off early next year. Castro has endorsed the “Medicare for all” proposal, which would in effect create a national health care plan by allowing anyone to join the public health care system. That policy point is likely to divide Democrats in the primary, with more moderate candidates favoring a less drastic approach. Castro, whose grandmother was born in Mexico, has sought to use his family’s personal story to criticise Trump’s border policies. Castro is the second candidate to formally launch a campaign. Former U.S. Representative John Delaney has been running for more than a year. Also U.S. Senator Elizabeth Warren of Massachusetts has formed an exploratory committee and has begun holding campaign events in Iowa and New Hampshire, the states with the earliest contests. Moderates and progressives in the party have been debating about how to best challenge Trump, the likely Republican nominee. Others contend a fresh face is needed to energise the party’s increasingly left-leaning base. Castro, who was considered on the short list to be Hillary Clinton’s running mate in the 2016 election, will try to leverage his Obama administration experience while making the case he is still a political newcomer. His brother, Joaquin Castro, is a member of the U.S. House of Representatives from Texas. Joaquin Castro’s position on the House Intelligence Committee has made him a frequent public critic of the president.